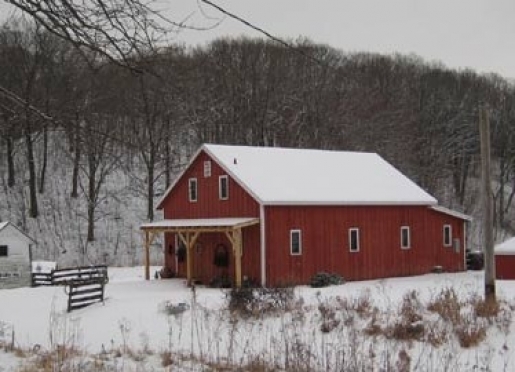 Spend the night in a true timber frame, post and beam barn set on 135 acres of wooded quiet. 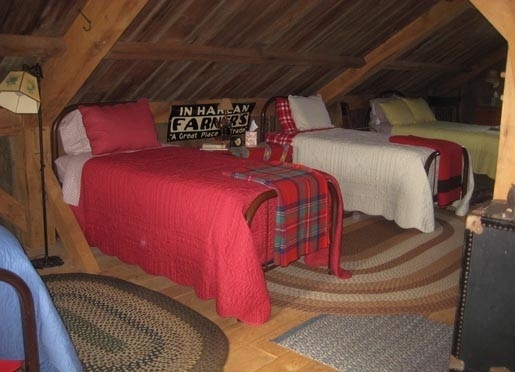 Located in Dahinda Illinois, The Barn Bed & Breakfast features rustic decor, antique furnishings, deafening quiet, and an outdoor shower for hot summer nights. It is located in the heart of the Midwest between Galesburg and Peoria. 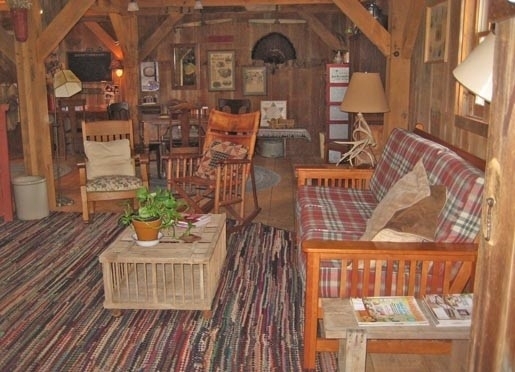 You, or your group, have the entire barn to yourselves. 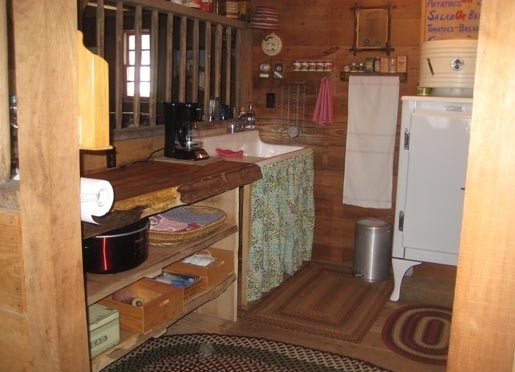 There's a full working kitchen in the "horse stall", a claw foot tub and shower in the "oat bin" bathroom and the hayloft sleeps ten. 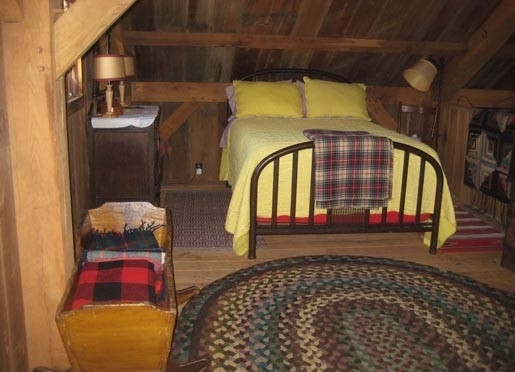 The Barn has available WiFi, a VCR and DVD, and washer/dryer. An expanded Continental Breakfast is included in room rate. The homemade coffee cake, fruit bowl, fresh squeezed orange juice, etc., is in The Barn kitchen at check-in to enjoy whenever you please. 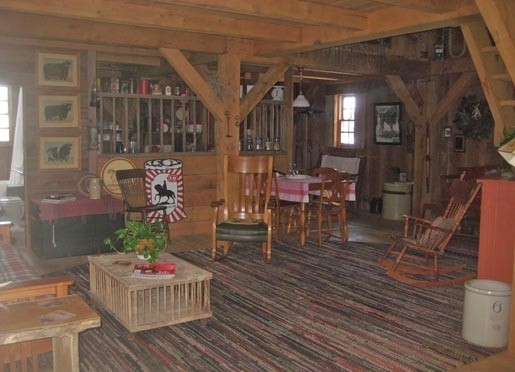 Guests repeatedly remark they enjoy having the entire barn to themselves, the antique furnishings, the photo opportunities in all seasons, the walks through the wildflowers, spotting a deer, wild turkeys or Indian artifacts, and viewing our small herd of registered Shorthorn cows, etc. Free pickup from Galesburg Amtrak Station. We've got the place -- the peace of mind is up to you! Travelers are always looking for memorable and relaxing experiences. Let’s discover more through the words of our innkeepers. Peace & quiet. Separate facility. Can accommodate up to 10 in a group. NA, we are in the country. More than one has asked to be first on the list if we ever wan to sell The Barn or do we adopt. No secrets, multiple things to do. 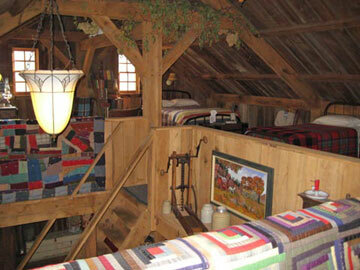 The Barn is a result of an appreciation of old barns and hating to see them deteriorating and torn down. 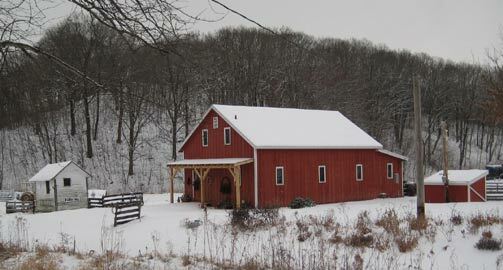 Our intent was to build a barn using almost forgotten construction techniques and materials with the final result appearing to be a turn-of-the-century barn that had been scrubbed down and made livable. 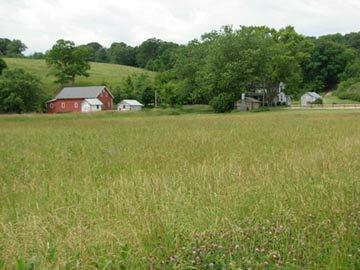 Sixty oaks and a few walnut trees were cut here on the property and a portable sawmill was brought in to fashion the logs into the proper size timbers and floor boards. 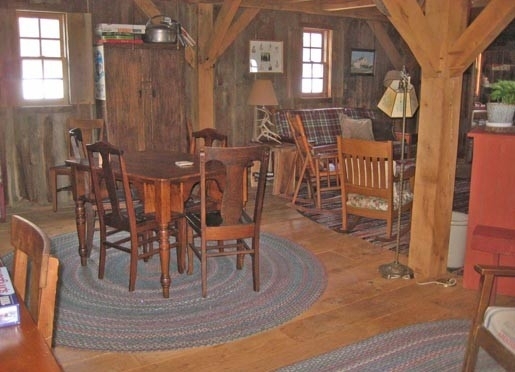 The Barn is a true example of timber frame, post and beam, mortise and tenon construction. The frame has no nails and is secured with 700 hand carved wooden pegs. 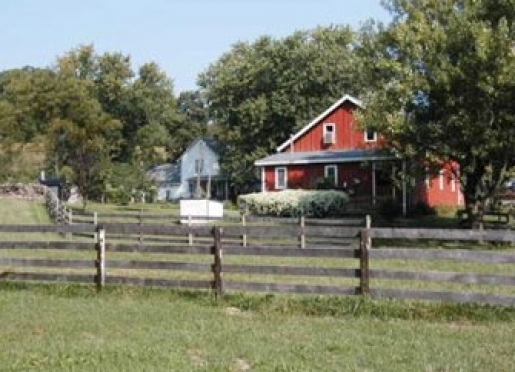 The board and batten siding came from eleven different barns in the area including the one that sat on the same site.